Remodelling or planning studio its significance is not inferior to the development of the projectcountry house. This is not surprising, because properly designed project will not only increase the useful area of ​​housing, but even increase the level of comfort and functionality of your stay. Typical layout of apartments in tenement houses restrict the possibility of developing the desired interior. And whoever wanted to make a larger living room, pantry and instead create a dressing room? Planning begins with a one-room apartmentOrder of the project and agree on it in a certain state structures. If you have not yet started construction works: sanitary items not yet installed, and the walls are destroyed, then get a permit will be much simpler. Even in cases where you have purchased an apartment with a free lay-out, you will still have to bear the BTI plan and repair of the relevant authorities. 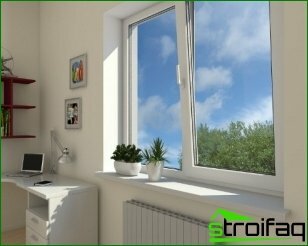 Through conversion and redevelopmentapartments can increase its level of amenities and comfort, which is accompanied by a change in the technical characteristics of rooms - this leads to a change in the size of the residential and the total area of ​​the apartment, the functional value and the number of rooms, as well as the location of domestic equipment. Options and methods of planning may differ dramatically, but mostly they depend on the area of ​​your apartment. 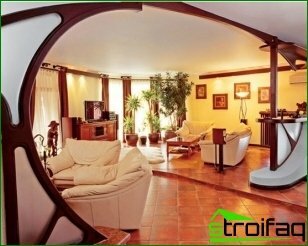 The most difficult to select the optimal plan forone-room apartment: in a confined space is not so easy to find a place for comfortable living and vital processes of the organization. In our life there is a place to rest and work, sleep and receive guests, and this is contradictory concepts. Therefore the main task planning studio It is to provide the most convenient conditions forall family members. 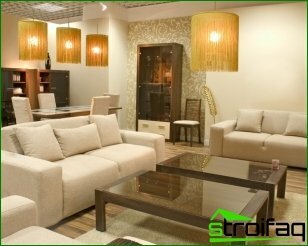 Zoning space is of great importance, as is the use of compact pieces of furniture, equipment and transforming elements. Why not make a single studio space? The best option of planning a one-roomthe apartment is the creation of studio apartments. The overall design of this solution is to combine an apartment in a single space, with exclusive bathroom and WC. If they are separate, when their combination can be freed up more space for the expansion of the apartment or the location of household appliances. Proper designing of this apartment excludesany partition walls, and is used only those elements that allow divide space into zones. As a result, the opportunity to maximize the usable space of a residential premises. Through the implementation of this decision can harmoniously combine rest area and kitchen, sleeping area and work. One embodiment of such a plan isan increase in the size of the kitchen due to its association with a loggia and a balcony. 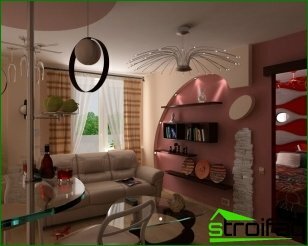 Often, this method allows you to get rid of many difficulties, as a result there is no need to combine the kitchen and bathroom, and living room can be increased only by a competent planning area koridora.Blagodarya studio can successfully offload the room, visually increasing the space. 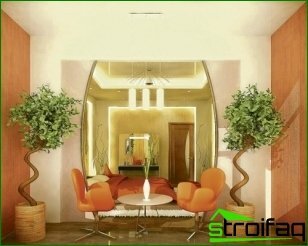 Design size of the room, their location,as well as the division or association is to create a comfortable living. 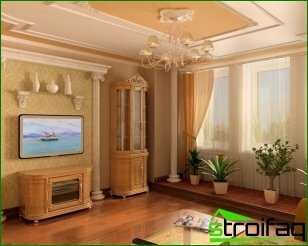 Each separate room must have a special project, which would be consistent with the concept plan living rooms. He developed individually, depending on usage, the location and operation of the room. It is best to start with the layout of the bathroom designinstallation of sanitary equipment. Because of this you will provide free access to it, and usability. The subsequent improvement will depend mainly on the size of the bathroom. 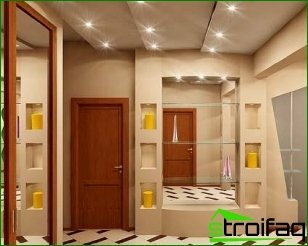 If the bathroom is large, then it may be provided for the installation of furniture and built-in cabinets. If the small room, even closer, then this can not think. The main objective is to plan the bathroomthe best use of space. Often, in order to achieve this objective fulfill the union bathrooms and bathroom in one room. Sometimes for the same purpose instead of shells set the washing machine. Do not increase the bathroom by the living room. The only thing that can be used for this purpose - a corridor, but in this case it needs to make considerable dismantling and construction works. 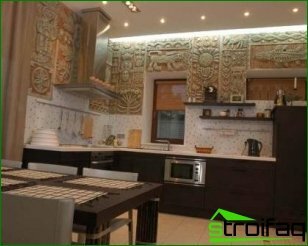 After determining the size necessary to choose finishing materials and decorative elements. Due to the redevelopment and planning studio You can significantly increase the ease of living andcreate decorating the room with his hands. Moreover, it is a real possibility thanks to the small financial expenses to create a cozy and comfortable apartment, which will have its own uniqueness.